An exclusive interview with Jo Swinson, MP for East Dunbartonshire, UK employment minister – and one of the architects of the new Shared Parental Leave legislation. Introducing NICK THORPE, journalist, travel writer, adoptive dad… and now National Development Officer for Fathers Network Scotland. I love being a dad. It’s the hardest and richest thing I’ve ever done. We’re delighted to announce that pioneer support group DadsWork has been saved from closure! The dramatic turn-around came after more than 500 people signed a petition, and East Lothian Council stepped in to make up the funding shortfall. There comes a time when words must be backed up by action – and the threatened closure of DadsWork in East Lothian marks exactly that moment for those who say they want to help men to be the best fathers they can for their kids. The pioneer support group is about to run out of funding just only weeks after the Scottish Parliament issued a call for expansion of such lifeline services – and ironically as we approach Father’s Day. These are on the back of the announcement of Scottish Government funding for our Family Friendly Working Scotland initiative (in partnership with Working Families and Parenting Across Scotland) - as well as our contribution to the Equal Opportunities Committee at the Scottish Parliament on the 13th March 2014. 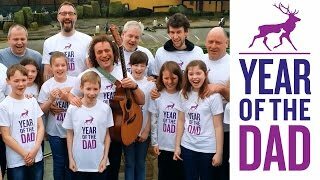 Come join us as we celebrate a successful year in the life of Fathers Network Scotland at The Melting Pot in Edinburgh on Wednesday 12th March, 2014. We're starting at 10:30 and will be following AGM business with lunch then a couple of workshops from Roger Olley MBE and Dr Gary Clapton.